The murder — and I’ve seen no evidence to classify it otherwise — of Trayvon Martin reinforces the very real dangers that black Americans still face. Around 7 p.m. on February 26, 17-year-old Trayvon Martin walked out of the gated community near Orlando where he was visiting his father to go get some Skittles at a neighborhood convenience store. On his way home, Martin somehow aroused the suspicions of neighborhood watch leader, George Zimmerman, who called 911 to report the boy. 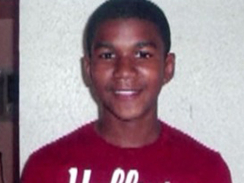 When police arrived, Martin was dead, shot by a bullet from Zimmerman’s 9mm semi-automatic handgun. Zimmerman had been advised by 911 to not approach Martin and wait for the police. Zimmerman ignored this advice so what could have just been embarrassing for Martin — explaining his sinister Skittles addiction to the authorities — turned lethal. There is no evidence of “suspicious” activity. I’m admittedly weird but I consider it more suspicious to stalk an unarmed teenager with a 9mm than to shop at a convenience store in your father’s neighborhood. Zimmerman approached Martin without provocation or legal grounds. Martin was not in the process of committing a crime other than “arousing Zimmerman’s suspicions.” Any concern should have been abated by the 911 call. The police were on their way. Zimmerman chose to escalate the situation. Zimmerman chose to initiate the confrontation. And now Martin is dead. Zimmerman, 28, who was bleeding from the nose and back of his head when police found him, claimed the two got in a scuffle and that he shot the boy in self-defense. Can you really claim self-defense in a fight you started? That makes no sense. I also usually hold adults responsible for any “scuffles” they get into with teenagers. When I was 17, I was still under orders from my mother not to talk to strangers (she actually never rescinded those instructions). Doesn’t Martin have the right to be left alone? He is under no obligation to explain himself to someone who is not a police officer. If this were a 17-year-old woman Zimmerman approached, we certainly wouldn’t have expected her to stop and chat with a strange man against her wishes. Zimmerman’s hardly life-threatening injuries could be the result of Martin’s attempts to flee. It’s also possible an altercation arose because Martin was just pissed that Zimmerman treated him like a suspect (it does get old). It bears repeating that Martin was 17 years old. Even Morgan Freeman was rash at 17. Shouldn’t we expect an adult to defuse a situation with a possibly frightened and upset kid? Or does he just become a potential threat to be neutralized once he hits puberty? Don’t expect immediate answers to these questions because Zimmerman hasn’t been charged with anything. Martin’s family, not surprisingly, is outraged, and calling for Zimmerman’s arrest. “What gave him the right to think he was judge, jury and executioner?” asks Martin’s uncle, Ronald Fulton. This is idiotic — so much so you’d think the NRA was involved. Oh wait. According to the National Rifle Association – which has lobbied for and in some cases assisted in writing laws expanding self-defense statutes – since 2006, at least 29 states have passed amended self-defense laws that the gun rights advocacy group supports, including four last year. Although each state’s statute is slightly different, generally, this new crop of laws allows citizens to use deadly force on someone they reasonably believe is a threat to their life. Instead of having a so-called “duty to retreat” from perceived danger, a citizen can “stand their ground” and meet force with force. Some laws also create immunity from civil lawsuits for those found to have reasonably used deadly force. So instead of retreating from danger like a sissy, you are legally allowed to confront danger head on like a deranged Dirty Harry or, more simply, Dirty Harry. Who needs the police or even police training as long as you have a gun and think someone is “suspicious”? Even better — Florida is a concealed carry state. Zimmerman himself has a permit. If someone looks “suspicious” to you, the possibility that they’re packing heat can also crank your paranoia up a notch. How is this helpful? Doesn’t enabling irrational fear promote an environment where there’s a very real fear that someone might kill you if you look at them the wrong way? Or if you just happen to look the wrong way. Wasn’t Martin in a place “where he (had) a right to be”? If he saw that Zimmerman had a gun, wouldn’t he also have a “reasonable belief” that he had to protect himself? What if Zimmerman made it clear that retreat was not an option? We only have Zimmerman’s word for what transpired. Probable cause? Zimmerman’s own story and actions are probable cause. He’s not a police officer. Martin didn’t fit the description of some baby-faced serial killer. That’s the problem with Urban Cowboy justice. Zimmerman had no authority to stop and hold Martin against his will. Even if a police officer had arrested Martin for no good reason, he would have recourse after the fact. He could also reasonably believe that they weren’t going to mug him or kill him. Thus far, there is no indication that Trayvon Martin was in the commission of any sort of crime when he was approached by Zimmerman, who was reportedly driving an SUV. Still, judging by the fact that he has not been arrested and the case has been referred to the state’s attorney, law enforcement seems to be struggling to determine whether Zimmerman’s actions fall within the scope of the Florida law. Remember 20 years ago when we got all mad because the cops who beat Rodney King like a chocolate-stuffed pinata were acquitted? Or back in 2000, when the cops who mowed down an unarmed Amadou Diallo walked? Or Sean Bell in 2006 … well, you get the idea. But those cases had trials. Lawyers. Changes of venue. If a white guy’s going to kill me, all I ask is that he has to put on a suit and take a few days off of work. After Selma and the March on Washington, I thought black men had reached a point where our deaths would at least be a mild inconvenience. George Zimmerman shot an unarmed child. And then he went home. That bothers me more than rising gas prices.